The DataSense integration platform creates bidirectional flows to connect data from a variety of systems, and cleans and standardizes enormous datasets into common formats so organizations can achieve data interoperability. 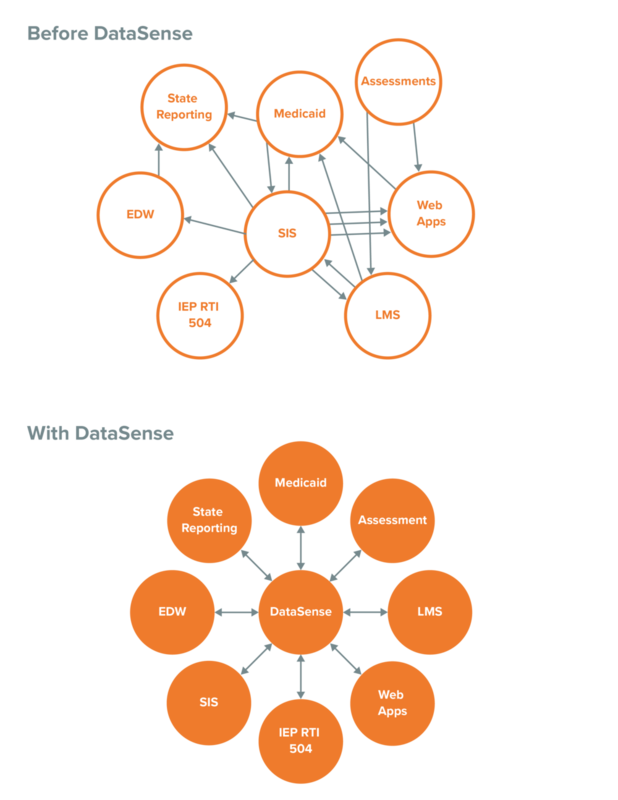 The Education Data Store is an open data management platform that provides a common data store for master data management. By unifying disparate data systems, educators can quickly track, analyze, and report data from all applications. RapidRoster™ allows educators to connect data from academic systems and facilitate the interchange of student enrollment and teacher assignments. The solution uses the IMS Global OneRoster® standard to provide districts with an easy roster data integration tool. DataSense can serve as a central repository for all data provisioning needs, including the necessary data required for state reporting. The platform streamlines the reporting process with direct data connectors to the State Department of Education.